What is Hikvision’s Best Lens? When it comes to selecting a security camera lens, it’s important to know what your needs are before simply choosing one based on price or common assumptions about features. Certain security camera lenses offer certain capabilities and functions in terms of viewing angles, clarity and degree of zoom – and focal length directly dictates those variables. Focal length, measured in mm, refers to the distance from the camera lens and the image sensor allowable for the image to remain in focus. The focal length of the security camera lens dictates the viewing angle a camera delivers, which also determines the degree of zoom the camera has. While most people assume that a wider viewing angle is always more preferable, the wider viewing angle causes certain details to appear smaller in the scene, due to the fact that they then take up less pixels-per-inch. Unfortunately, this results in an image that is smaller and less detailed. In addition to fixed focal length security camera lens options, Hikvision also produces Varifocal camera lens options. 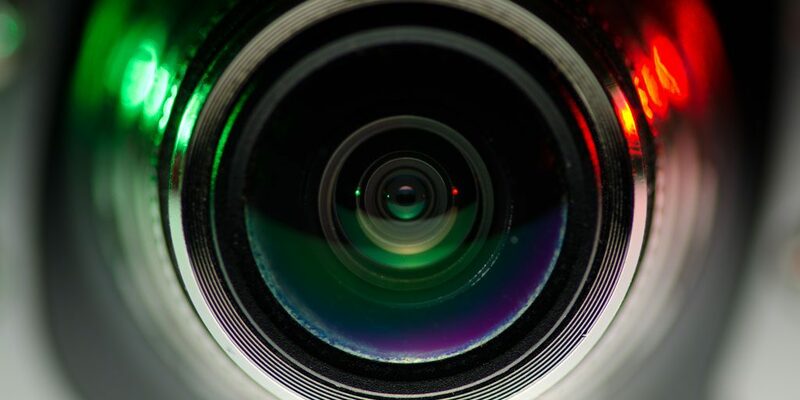 Unlike security cameras with fixed focal length lenses, Varifocal cameras allow for the manual or remote adjustment of the focal length and – consequently – the zoom of the camera within a certain range. For Hikvision’s most popular cameras, this lens length usually ranges from a 2.8mm to 12mm lens. These lengths allow for the setting of the cameras to view any angle from approximately 90 degrees to 25 degrees. For even more optical zoom, some Hikvision PTZ camera lenses have a far wider range of focal lengths. As a company with a trusted reputation that is known throughout Northwest Florida for providing and installing quality custom commercial security and business security systems, we at Ivanco, Inc. have designed security solutions for a wide variety of clients. As a Platinum-level Hikvision dealer, we know the various capabilities of each security camera lens and offer our recommendations based on the very specific needs of our clients. In using such superior products, we feel confident in our ability to meet the particular challenges of clients with any security need they face, regardless of the size of their business. We take particular pride in the Hikvision products we offer and know that we are providing them with the highest level of security each and every day. Call the team of security experts at Ivanco, Inc. today to learn more about which Hikvision security camera lens is best for your needs!